Chop rashers/bacon into strips, transfer into a frying pan and fry for 2-3 minutes. In a bowl beat the eggs with milk until combined. Season with salt and pepper, add oregano & set aside for later. Take a baguette and using a sharp knife cut around the edges. Take out the crumb (the soft part in the middle) and make it look like a boat. You can take the whole middle part out or leave something in. 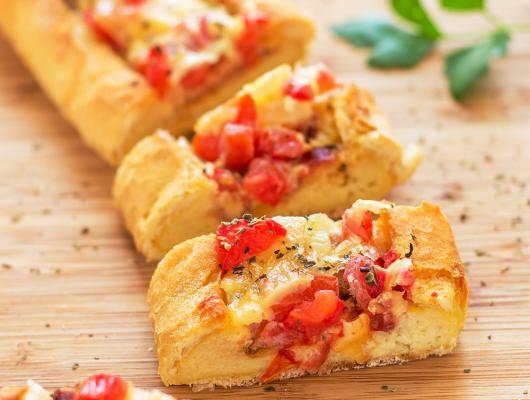 This depends whether you prefer having more filling or you want to enjoy the soft part of the bread as well as the filling. Grate (or slice) the cheese. Dice the onions and tomatoes. 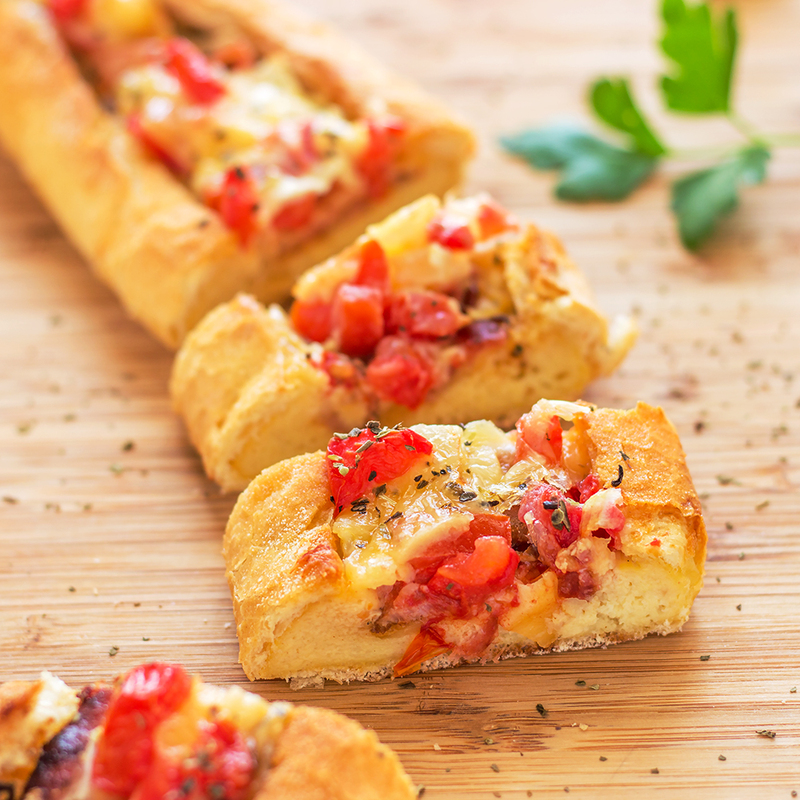 Once you are done with the prep, take the baguette and start adding the fillings: cheese, bacon, tomatoes. Finish it off with some more cheese. Place the baguettes on a baking tray lined with baking paper. Finally pour over the egg mixture. Bake in a preheated oven at 180°C/350°F for 20-25 minutes or until the egg mix is set.